Game-Changing Altered Genes, Twisted Truth Book Released Today! 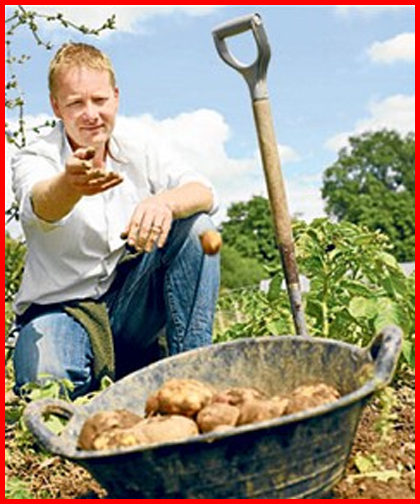 Special Offer: FREE Organic Potato Fertilizer. Move 'em On, Head 'em Up! The Best Potatoes for Chips & Roasters. 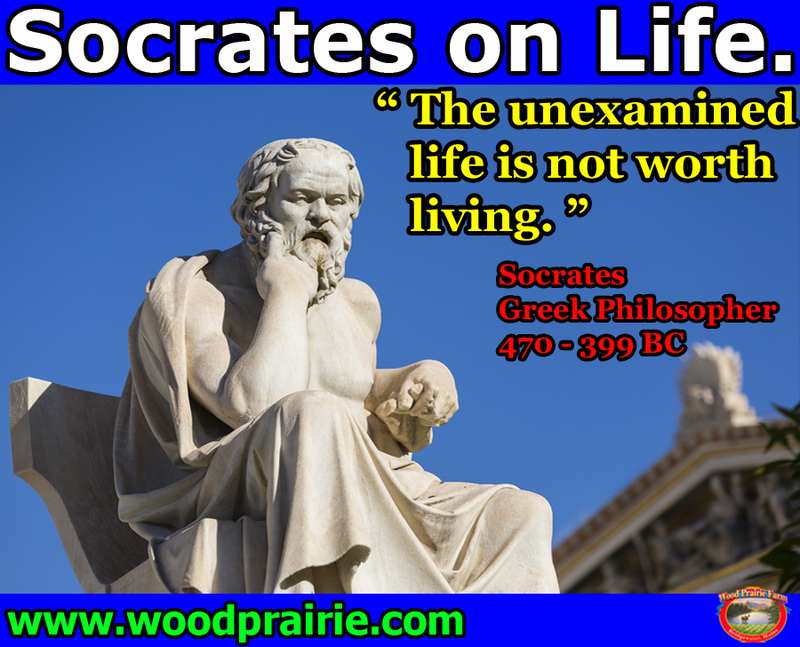 Notable Quotes: Socrates on Life. Mailbox: Catastrophic Drought & Co-Existence Fraud. 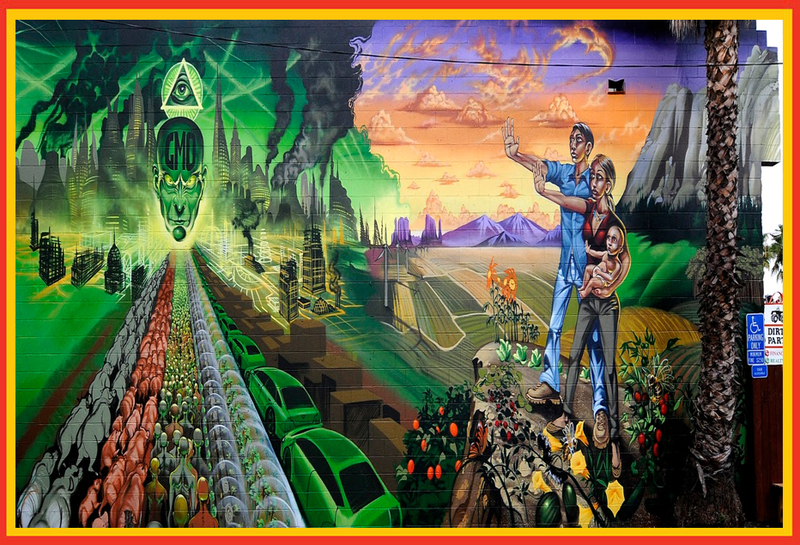 Beautiful Street Artist Mural Heralds The Peoples’ Resistance Against Industrial Agriculture and GMO Food. A promising sign of the peoples' steady march towards victory over the death culture of GE crops is the growing tide of artists drawn to the cause of food sovereignty. This stunning mural is the work of talented Los Angeles-based graphic designer 'Mear One' (a.k.a. Kalen Ockerman). Meanwhile, our friend, Steven Druker, is out with his powerful new book, Altered Genes, Twisted Truth which you will not want to miss! Steve will be in Maine this Fall to deliver a Keynote Address at MOFGA’s famous Common Ground Country Fair – see you there! And please don’t miss the article with details our new parcel Tracking Number System. From here on out, if we have your email address, you will automatically receive the Tracking Number for your order as it ships from our Maine farm. The Spring is still young and there is still plenty of time to order your Organic Seed Potatoes, Organic Vegetable Seed, Organic Cover Crop Seed and Much Much More from our Wood Prairie webstore. Or Call (800) 829-9765 and we’ll be happy to help you! Altered Genes, Twisted Truth. Earthshaking new MUST READ book by courageous Steve Drucker. BREAKING NEWS! JAW-DROPPING NEW BOOK WHICH EXPOSES HISTORY OF FRAUDULENT APPROVAL OF GE CROPS BY U.S. FOOD & DRUG ADMINISTRATION (FDA) HAS BEEN RELEASED! 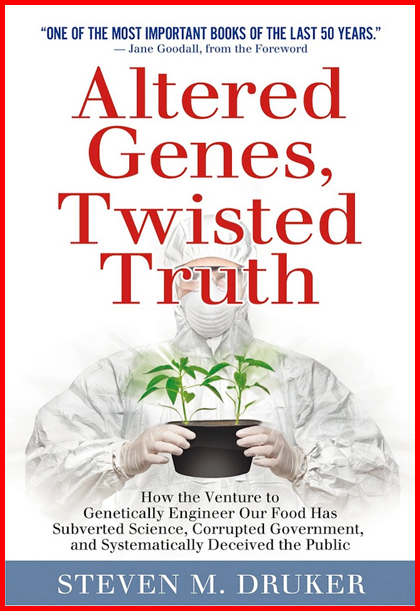 Steven Druker's landmark book, Altered Genes, Twisted Truth promises to be a real game-changer which blows out-of-the-water false Biotech propaganda that GE foods are safe. Last month, Steve appeared on our day-long GMO plenary session panel at the Missouri Organic Association (MOA) Conference in Springfield MO. His bold and well-documented presentation stunned the audience made up of Missouri farmers and consumers. Citing secret internal documents obtained from FDA files in a lawsuit discovery procedure, Steve explained the serious concerns of the FDA’s own scientists over the safety of GE food were swept under the carpet and willfully ignored by political leaders with a set agenda to promote GE food. This Alliance for Natural Health-Europe article captures the revelations. "...US lawyer Steven Druker argued that 'contrary to the assertions of its proponents, the massive enterprise to reconfigure the genetic core of the world’s food supply is not based on sound science but on the systematic subversion of science and it would collapse if subjected to an open airing of the facts'...Not only has Druker used his razor-sharp legal mind to come to grips with the available science, he’s also been able to crystallise its many weaknesses and show how it can be used subversively to make the case for GM foods. Even more importantly in my opinion, Druker shows how the science is both corrupt and fraudulent...Supporting Druker at the press conference was Jane Goodall PhD...she spoke of her deep concern for the release of GM crops worldwide, their potential effects on the environment and the difficulty of detecting such effects after the event." Please follow Jane's admonition. Order and read this great book and then help spread its truth far and wide. Thanks! We carefully blend and bag our Organic Potato Fertilizer right here on Wood Prairie Farm according to our own tried-and-true organic recipe. We’ve found this fertilizer really works! 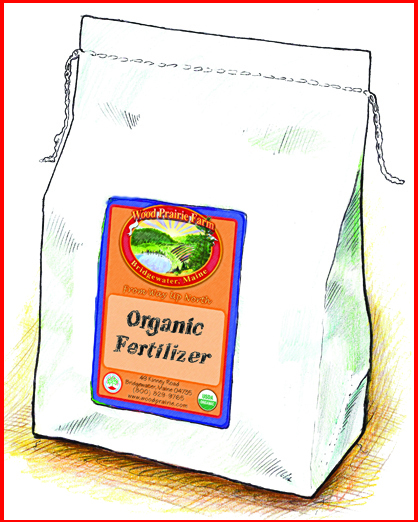 So, how do you know if your garden soil needs additional organic fertilizer – or – is it sufficiently fertile already? In our experience, most garden soils will benefit from our Wood Prairie Farm Organic Potato Fertilizer. Not only will you get higher yields, but also higher quality, better taste and earlier maturity comes from soils which have been properly fertilized with valuable organic materials. The exception to needing organic fertilizer is a very rich garden soil which has been under long term organic management. If you are wondering whether your soil will benefit, here’s a simple experiment which will tell you if organic fertilizer is worth buying. Do keep as many variables as possible the same – soil type and richness, variety of potato and amount of watering. Plant half of your potato crop (half of each variety) without fertilizer. Plant the other half with our Wood Prairie Farm Organic Potato Fertilizer placed 2” below where the seed piece is planted at a rate of 1 lb. per 10 row feet or 0.1 lb. per hill. Record written notes so come Fall you will remember what you did. During the growing season, observe the health and color of the potato plant. Then at harvest carefully measure the yield from each half. 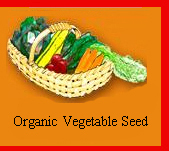 In most cases the half receiving our organic fertilizer will have the superior harvest. If that is your experience, it will confirm the real benefit of adding fertility. We’ll help you conduct your experiment this year. Get a FREE 3 lbs Sack of Wood Prairie Farm Organic Potato Fertilizer (Value $9.95) when the amount of goods in your next order totals $45 or more. 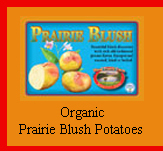 FREE 3 lbs Sack of Wood Prairie Farm Organic Potato Fertilizer offer ends Midnight Monday, March 23, 2015. Please use Promo Code WPF 454. Your order and the FREE 3 lbs Sack of Wood Prairie Farm Organic Potato Fertilizer must ship by 5/5/15. This offer may not be combined with other offers. Please call or click today! Organic Potato Fertilizer. Learn How to tell if your garden needs it. Caleb Gerritsen. Movin' them doggies Maine style. Watch this video and notice the wind blowing the snow around yesterday. Sometimes just keeping up with shipping orders seems to approach the work of a cattle drive and keeping them stray ‘doggies’ herded and headed for market. Those of us who grew up as kids watching black-and-white Westerns on television in the early 1960’s will remember the iconic weekly show Rawhide. While the episodes are long forgotten, not so the memorable Rawhide theme song, sung and made famous by cowboy-sounding Frankie Laine. Yesterday we shipped out a pallet of organic seed potatoes destined for another family farmer. 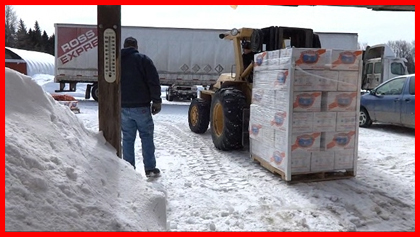 Megan took a video (1:45) of the truck- loading process. It was a cool day, noontime and about +18ºF. Son Caleb, in snowsuit, is driving our 4WD Mastercraft rough-terrain forklift. Everyone will be able to see our still-building-piles-of-snow - another 20” has fallen since Sunday. If you look real close you can see this winter’s incessant wind blow the powdery snow into airborne horizontal flight. You will also see our furry friend, old-timer Snowball – our Great Pyrenees – for whom cold weather has never been a problem. Now, as always, we send smaller parcels out by the U.S. Post Office and Fedex, and a few by UPS. However, this week we reached a milestone on Wood Prairie Farm. This week we went live with our long-awaited New Electronic Tracking Number System. Here’s how it works: If we have your email address, once your parcel ships from our farm you will receive an automatic notification via email. Included in that notification email will be your package Tracking Number. Simply cut & paste that Tracking Number into any browser (such as Google) and you can then track the progress of your order as that ‘doggie’ leaves chilly Maine, bound for warmer destinations. Let us know what you think! Click Here for Our Wood Prairie Farm Certified Organic Cover Crop Seed. Here’s an intriguing article from the United Kingdom. It will most definitely help motivate you to plant potatoes so you can reap a delicious harvest. The real treasure and fun will be found by growing your own supply of exceptional potato varieties, digging them fresh and cooking them right away. Many of the varieties the author mentions are hard to find in the USA. However, two of our best-tasting varieties – Yukon Gold and the heirloom Rose Finn Apple are mentioned as excellent varieties for eating fresh from the garden. "If you want delicious potatoes, something you’ll be glad you wished for, you need to think with your cook’s hat on. And now’s the time to do it. Chips, potato dauphinoise, roast potatoes, potato salad, Lyonnaise potatoes, creamy mash and buttered new potatoes. These are the seven best reasons I can think of to grow your own potatoes." "Treat them Gentle". We'd tell our youthful hand pickers to treat potatoes with the same care you would give eggs. This author wrote a good article but could use a reminder on handling. In a large mixing bowl whisk the yeast with warm water and sugar and set aside until foamy. In a small saucepan over med-low heat, combine the cocoa, coffee, molasses, caraway, butter, and salt. Stir constantly until just melted. You want the mixture to be lukewarm when adding to the other ingredients. Combine the grated potatoes and molasses mixture with the yeast mixture in the large mixing bowl. Add the flours, and stir until you've got a soft tacky adhesive dough. Turn the dough out on a lightly floured surface and knead for about 5 minutes, adding flour as needed, until the dough is elastic and springy. You can also do this step using the dough hook on your mixer. Shape the dough into a ball, rub with a bit of olive oil and place seam-side down into an oiled bowl. Cover and allow to rise a warm place for 1 -2 hours. Gently press down, with a closed fist, across the surface of the dough. 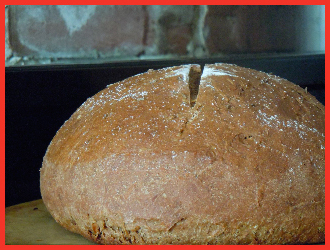 Turn dough out onto counter and shape into a round loaf. Place on a very lightly oiled baking sheet , then cover loosely with a cloth. Allow to rise a second time in a warm place until nearly doubled in size, about an hour. Uncover, brush with buttermilk, sprinkle with a dusting of flour, 1 tsp caraway seeds, and use a serrated knife to slash an 'X' deeply across the dough (do your best not to deflate the loaf). Bake for 20 minutes at 425F. Lower heat to 350F and bake for another 20 - 25 minutes. Remove from oven and place bread directly on rack to cool. Megan. Our Mailbox: Catastrophic Drought & Co-Existence Fraud. Nothing we can't grow ourselves. 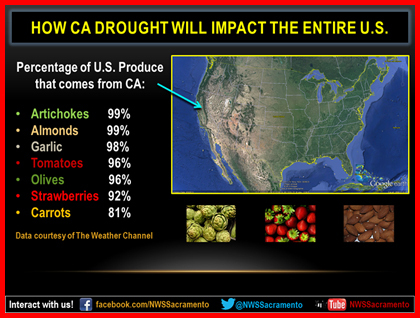 California's drought will effect all of the country. We have good friends who farm in the West and California. It is a grave situation. The drought is extreme by every measure. This year's early, extremely hot weather has exacerbated the drought by increasing evapo-transporation. The situation is approaching potentially catastrophic levels for family farmers whose margins are tight even in a normal year thanks largely to our 60-year federal Cheap Food Policy. They deserve our understanding. Anti-GMO, Biotech Factions Clash at Food Summit. My favorite analogy is still if one neighbor is painting their home purple & the wind carries it to neighbors house & whom is responsible for the mess to clean up...How can GMO ever be non-invasive to organics? Where is the common sense, just give me the info so I do not wonder any more & so I can choose my own way to eat healthy. Thank you for all you are doing. Here's the good news: Longtime OSGATA Treasurer Isaura Anduluz of New Mexico attended this meeting in North Carolina. She represented the peoples' interests. Isaura is intelligent, has rare backbone, integrity and resolve. She has served as an appointee on USDA Secretary Thomas Vilsack's 'AC 21 Committee.' AC 21 has been attempting to grapple with the intractable GE contamination issue. Isaura was the lone AC 21 member to file an official dissent to AC 21's first Report. That action took courage. Sadly, with their unholy alliance on display, the Federal government/industry continuing strategy appears to be to ignore the GE contamination problem and pin their false hopes on the fallacious notion of 'Co-Existence'. 'Co-existence' is an illegitimate concept because it falsely claims that GE farmers and nonGE/organic farmers can farm side-by-side in harmony. The concept ignores the biological reality of GE contamination via wind-born GE pollen-spread. Incredibly, 'Co-existence' proponents deny that GE contamination is a real problem and that GE contamination has had any economic impact. The collapse of the organic canola industry in North America has been due to GE contamination. In the real world, such an organic industry collapse can not be explained away as 'no economic impact.' It is bold and preposterous to ignore the clear historical fact of organic canola's collapse. This single example should illustrate to everyone how the deck has been stacked against the organic community. Furthermore, it is immoral and unconstitutional to ignore the private property rights of organic farmers who choose to grow on their own farms clean food and seed without GE technology and who want the crops grown on their farms for their own families and customers to be free of Biotech's patented and flawed GE technology contamination. It is noteworthy that before becoming USDA Secretary, while Mr. Vilsack was Iowa Governor, he received the Biotech Industry Organization (BIO) 'Governor of the Year' award. We're sorry if Secretary Vilsack finds the organic community's refusal to abandon our rights and our concept of food sovereignty as inconvenient or disagreeable. However, we will not back down. And we don't want the Big Boys - from any corner - to sell us out in our determination to protect the peoples' interest.